Amazon SmileAmazon will donate 0.5% of the price of your eligible AmazonSmile purchases to St. Mary’s Food Bank whenever you shop on AmazonSmile.Sign up Today! To designate St. Mary’s Food Bank through the AmzonSmile Program, follow these 3 Easy Steps:1. Visit smile.amazon.com. Sign in and Choose Your Charity Click on the Account & Lists dropdown and select Your AmazonSmilie under Your Account column. When you search for a charity, such as “St. Mary’s Food Bank,” you will be given a list of possible matches. Select St. Mary’s Food Bank, Phoenix, AZ Once selected, you will receive an email confirmation and you can begin shopping. Begin shopping & Share with your friends! Once you’ve selected your charity everything else functions the same. Shop for your favorite products or the perfect gift. Most products are eligible on Amazon Smile–if not, you’ll be notified. You can checkout normally as well. No extra cost is passed onto you–Amazon will donate 0.5% of your purchase to St. Mary’s Food Bank!After you’ve successfully completed a purchase on Amazon Smile you can share the news with your friends on Facebook, Twitter or via email. This option appears on the confirmation page after your order is complete. 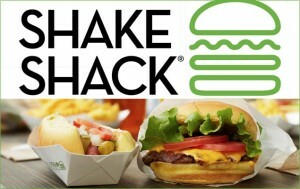 For every CamelShack concrete at Uptown Plaza and Fashion Square - or a Campfire concrete at the Kierland Commons location, Shake Shack will donate 5% of the sale to support St. Mary's Food Bank! Find a location near you.